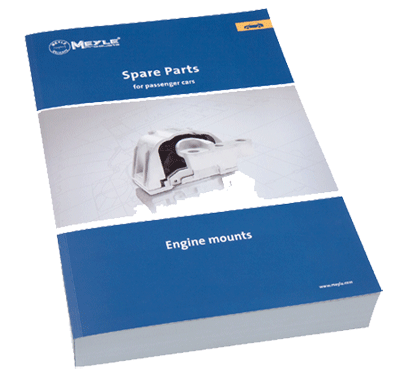 Meyle has now organised its vast portfolio of Engine Mounts in a single catalogue. This new catalogue provides technicians with more product details; for example, additional information on the part’s installation environment. The company has further developed and harmonised the structure of its15,600 references. The new component group catalogue for Engine Mounts gives more detailed information and is even easier for the user to access. For this purpose information per part is recorded in a central, media-independent database. Whether you are using the TecDoc system, the online catalogue on the Meyle website or the printed catalogue, all data is retrieved from the same database. As the information on each Meyle article is organised according to the same system irrespective of the medium, users won’t waste valuable time getting to grips with a different system. “Knowing you can find the right product and whatever secondary information you need quickly, greatly simplifies workshop routine. This is why clarity and ease-of-use are right up at the top of our product communication priorities” says Nils Prochnow, head of product management at Meyle. The first part of the catalogue lists the products for all the main vehicle manufacturers, organised according to model range. This way all the components for a given vehicle type can be presented clearly alongside detailed information on installation. The second part contains a photo index. Distinct pictures with valuable product information ensure that repair professionals can identify articles easily and reliably. The third part allows users to navigate to parts and vehicle models through referencing lists and vehicle types. Meyle has deliberately avoided using a complex system of symbols to make the catalogue easy to use and ensure that it is an invaluable workshop resource. The sort sequence is designed to meet the needs of customers. 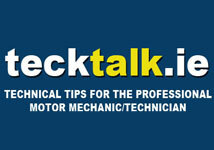 The table of contents is organised according to make, model range, and vehicle type for greater clarity. The photographic index is structured according to the Meyle article number in ascending order. In organising the manufacturers’ references Meyle has kept closely to the manufacturer’s data and used their sort sequence for the article numbers. Catalogues will be monolingual and available in German, English, French and Spanish. As well as the print version the company can also provide the catalogue as a PDF file on request.